It really is no surprise that Street Fit Workshops are hugely popular in schools, they are current, cool and a form of dance exercise that the youth of today can really relate to. From an education perspective they are also a great alternative to a P.E lesson that will be sure to encourage and involve all in getting fit, learning together and having fun! Street dance fitness has lots of key health and fitness benefits, in addition to those already associated with dance exercise. It is important to make everyone aware that Street Fit has combined the popular form of street dance with a fitness focus and edge. Obesity, particularly in children, is a significant and growing problem and it is caused by two simple factors, an unhealthy diet not enough regular exercise to burn off the calories consumed. Street Fit is designed to make burning calories and exercising fun and engaging for all. With the high profile arrival of the 2012 Olympics to our shores, there has never been a better time to promote sport, dance and fitness and change the course of our young people’s lives. 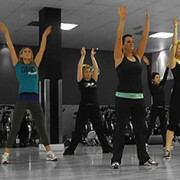 A Street Fit Workshops utilise a range of energetic bodily movements and learning techniques that are easy to pick up and fun to put into practice. As opposed to many traditional exercises, Street Fit moves may require the participant’s hands to support their body weight, as well as the feet and leg joints. Street Fit Workshops will strengthen these areas over time and greatly improve their flexibility. Once you master the basics of Street Fit your self-confidence will improve tenfold. Your body will feel healthier and happier, workshops a real confidence builder. Not only do Street Fit Workshops help with fitness but they are a natural learning environment, making sure that all participants not only get exercise but focus on learning moves and routines. Don’t forget we are the only provider of Street Fit Workshops and will ensure you get the experience you are looking for!